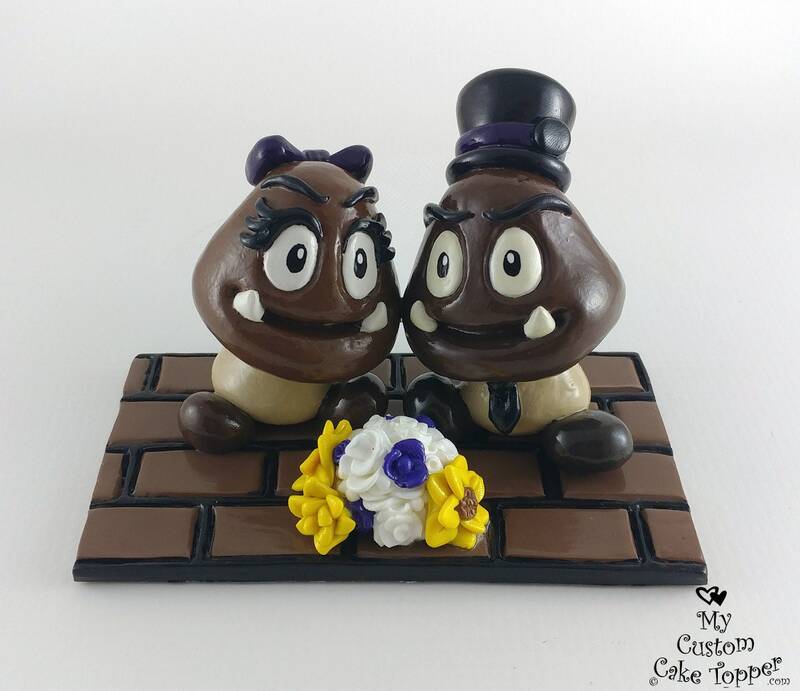 Goomba and Goombette Wedding Cake Topper. 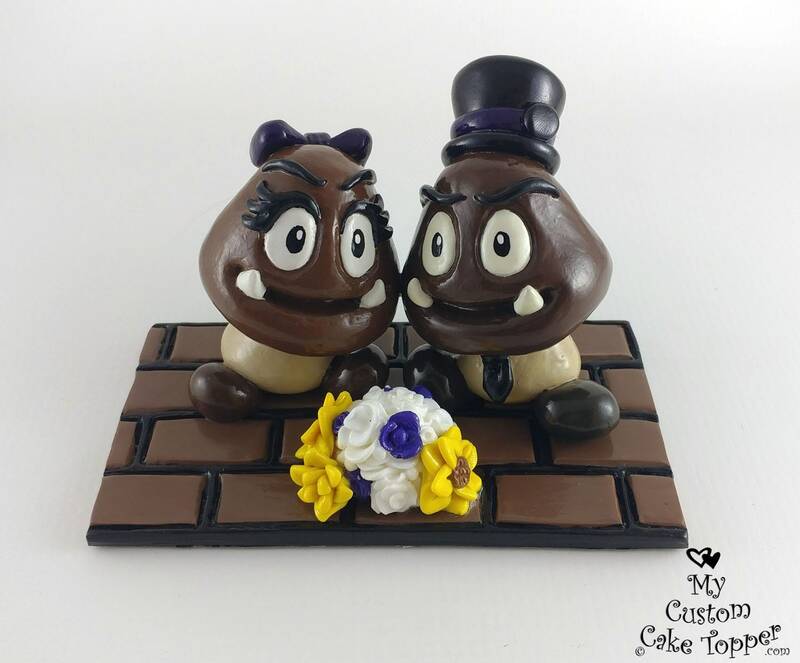 Perfect for the Mario Brothers video game lovers! 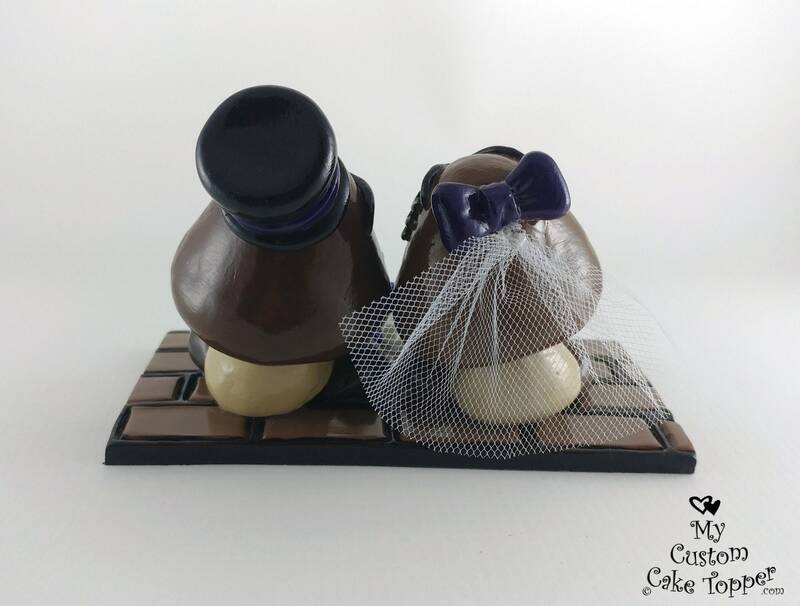 My sculptures are non-toxic and can last a lifetime, with proper care, a perfect keepsake from your special day. The pair are approx. 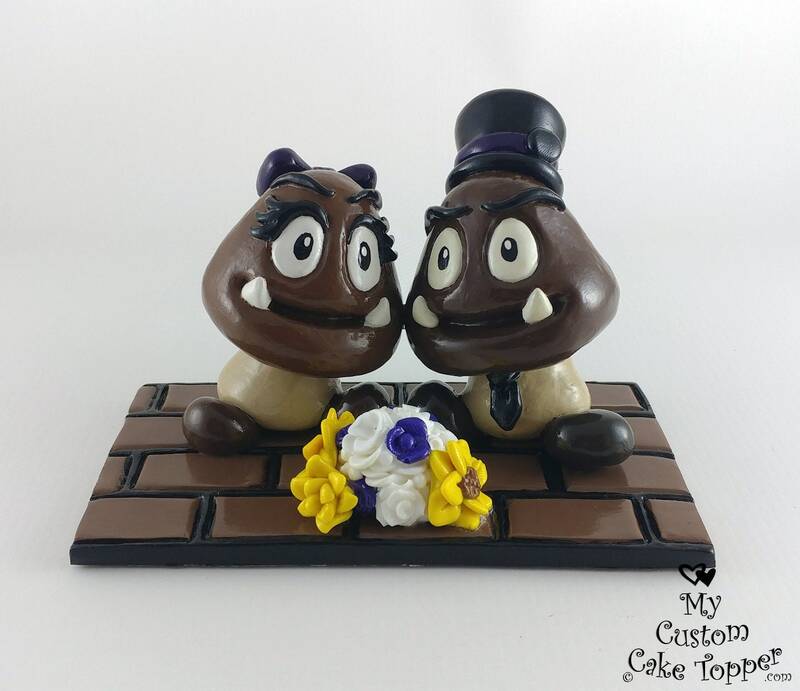 2.5" tall without hats or accessories. The base is 5.25" x 3"
Every sculpture is made to order and is unique, so it might vary slightly from the examples shown. 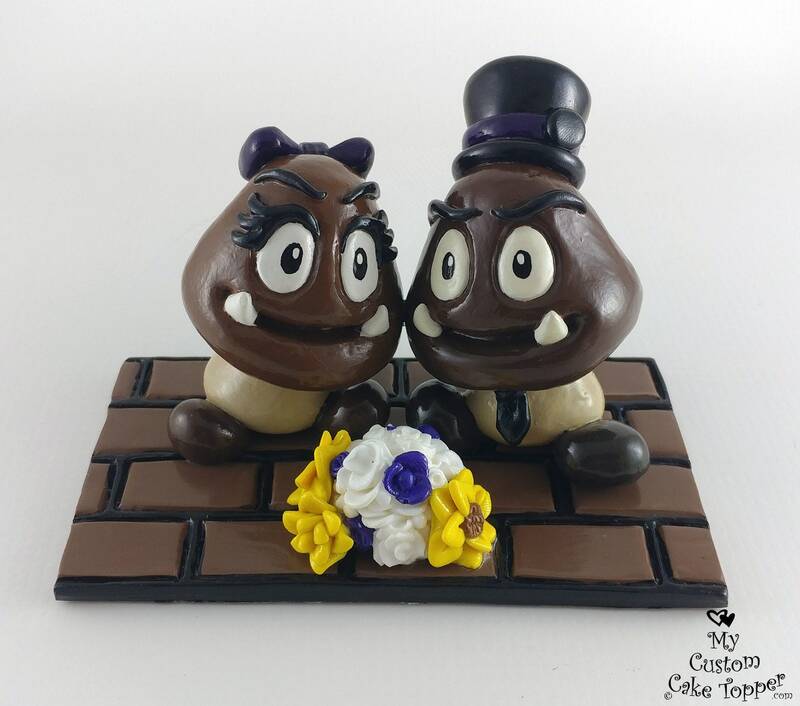 These beautiful characters are cast from my original sculpture, hand painted and detailed.